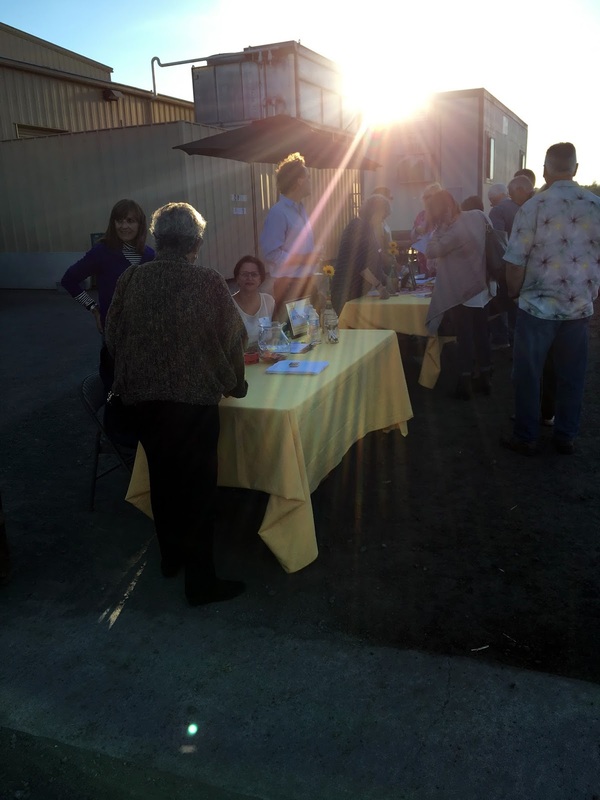 Wine club parties range from fun to fantastic! We measure our interest in joining each wine club primarily based on the reputation of their club parties. 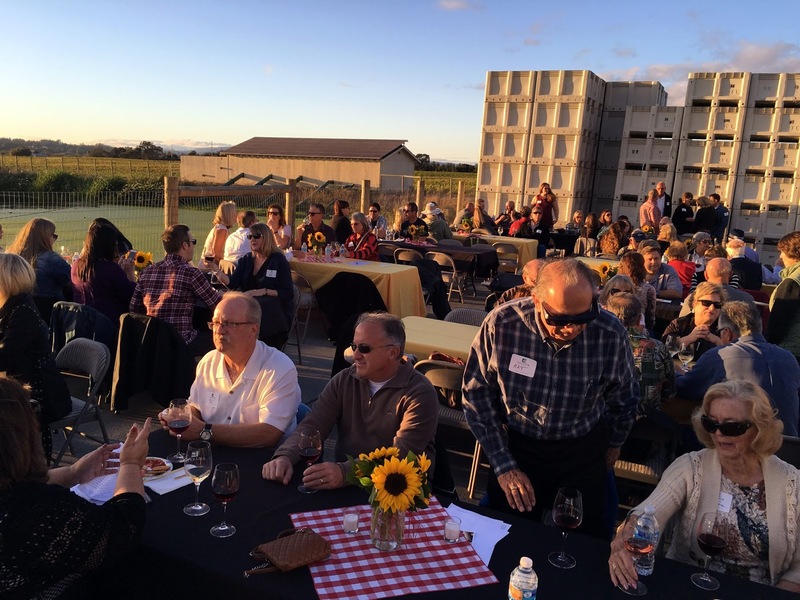 This strategy paid off handsomely in our most recent club party at Balletto Vineyards. Great setting, delicious food, fantastic wine, wonderful live band, the list of superlatives goes on and on. 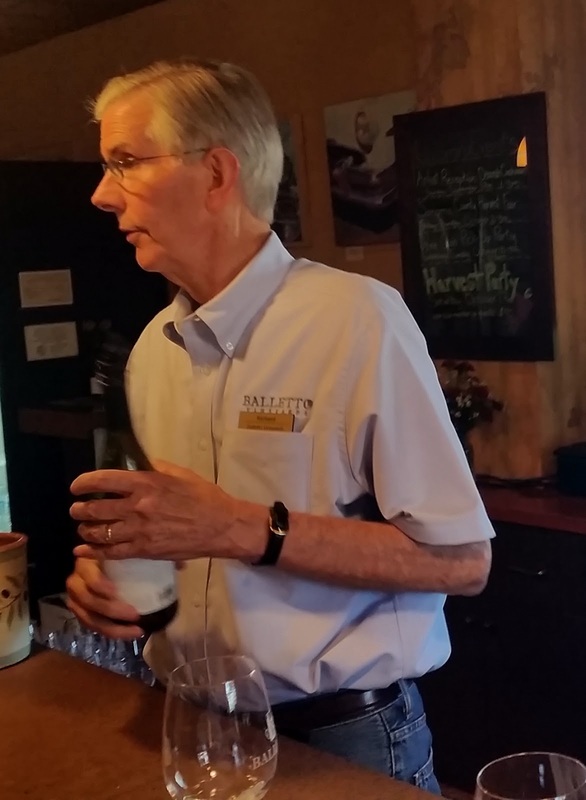 We recently discovered Balletto Vineyards and we had a great first tasting experience. Before we were done, we had purchased about a case of wine and joined their wine club. The wine we purchased on its own merits, but the club membership was based on wine guide Richard’s description of their upcoming Harvest Party. At that point we had found a lot to like about how Balletto did things, so we were pretty sure we would like how they threw a party. A few weeks later we were able to put that hunch to the test. Mere weeks later, the Harvest Party was upon us. We started the day at Korbel Champagne Cellars, picking up our club pack. 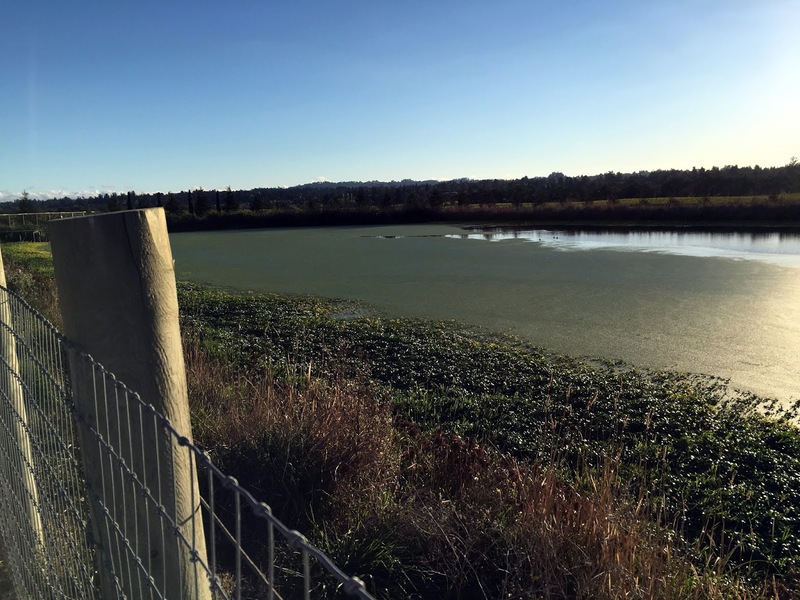 After a side trip to an artisanal cheese shop, we drove to the Balletto grounds. We were efficiently routed to a parking spot (we discovered later that the parking attendant not only wore cute boots, but was actually a Balletto family member). At this point the magnitude of the party became evident. We intentionally arrived a few minutes early, only to find dozens of cars already parked. This was going to be a big deal! The good news? The Balletto folks were more than ready for a crowd! We joined the fast-moving line at the check-in table and proceeded behind the winery to the enormous concrete pad that was chock-a-block full of freshly harvested grapes and crushing equipment during out previous visit. The area had been transformed into a party paradise! There were long tables for larger groups and round tables for smaller groups. 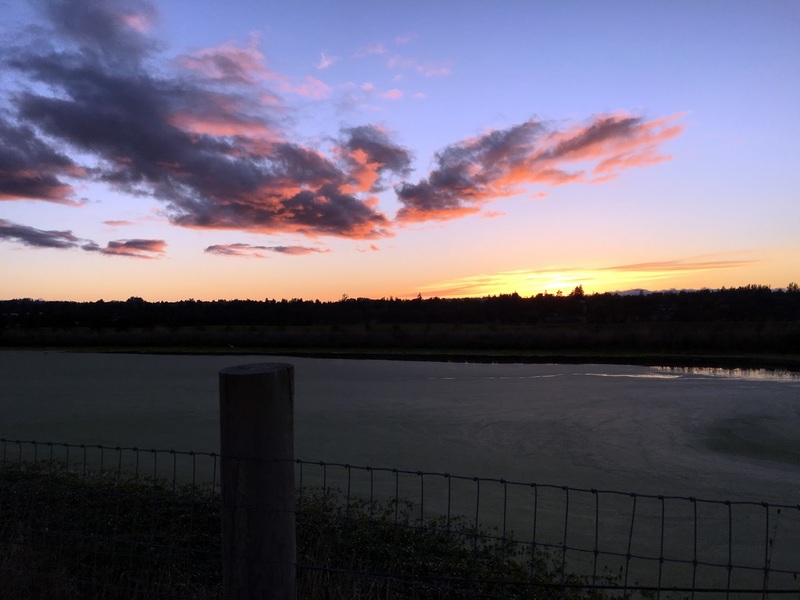 We selected a table along the fence line, joining another group of four, so that we could maximize our view of the setting sun across the hills and the lake. 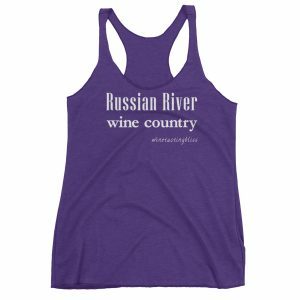 Once we were settled in, it was time for wine! Again, the Balletto team made sure that the party crowd didn’t waste time standing in long lines. There were multiple pouring stations, and several hors d’oeuvres stations! Yes, snacks before dinner: cheese, dried meats and even shrimp (OK, I left the shrimp for other people, but I’m a giver). We tasted our way through their wine menu and made sure that the hors d’oeuvres didn’t feel left out. Another happy surprise: the wine pourers had been instructed to pour enough wine per serving that people could wander around or sit and take in the view without running out of wine prematurely. Well played, everyone! At this point, things were going pretty well! Nice snacks in front of us, great wine in our glasses, and a band playing familiar tunes a few tables away. 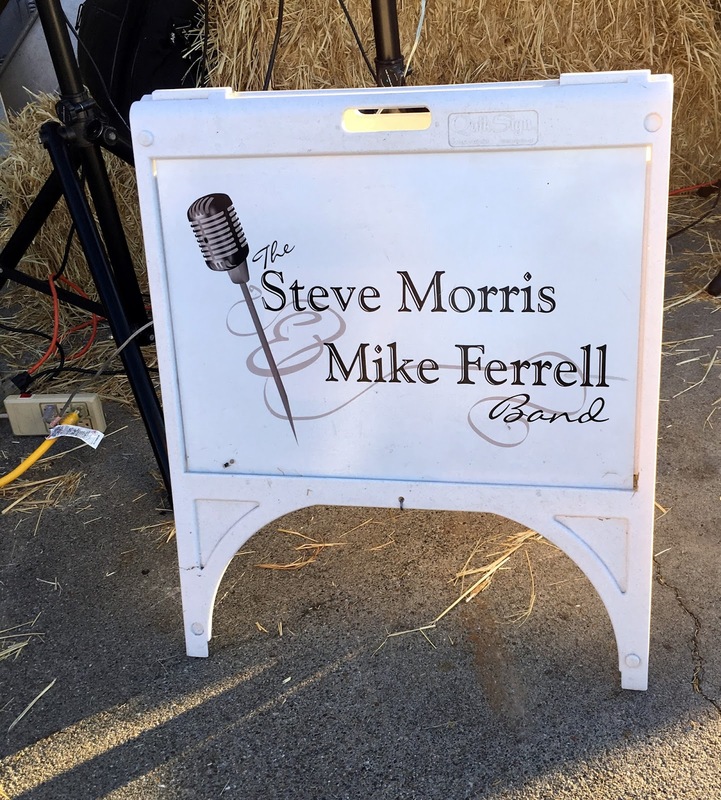 They called themselves “The Steve Morris & Mike Ferrell Band” featuring (wait for it) Steve Morris on lead guitar and Mike Ferrell on keyboards, plus a drummer and a vocalist that have not yet made it onto the big sign. They had a nice sound, with lots of music that I recognized. I awarded extra points for having the good taste and musical chops to cover some Santana tunes! Soon it was time for the main event: dinner. Once again the Balletto people were prepared for the size of the party, There were four buffet lines, so all of us happy party people could get our plates filled without aggravation. The meal was catered by Larry Pietrobon of Casual Catering, and featured pulled pork, chicken breast in a marsala/mushroom sauce, creamy polenta, eggplant lasagna, tortellini in a garlic cream sauce, lightly grilled summer squash, Caesar salad and bread, This was widely agreed to be the most opulent spread of any club party in memory. We have been to our fair share of wine club parties, and this buffet table surpassed them all! So we ate the great food, especially enjoying the Balletto Zinfandel with the pulled pork and creamy polenta. We were pretty scientific in exploring all of the possible wine and food pairings, assigning every possible combination among the four of us. The Zin/pork combination took the prize by a narrow margin. Science is hard, but the knowledge gained makes it all worthwhile. While we finished our dinner, the Balletto family took the microphone and welcomed us personally. Then they drew raffle tickets (we each received one when we checked in) and awarded bottles of wine and tickets to upcoming wine events. Our ticket numbers weren’t called, but people all around us were happy winners. Maybe next time! 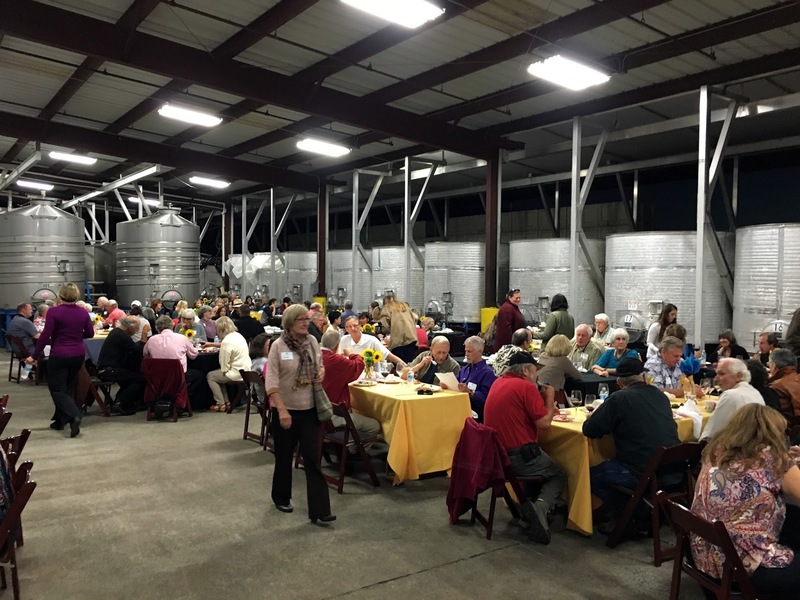 We hung on until most of the other guests had already found their cars, but eventually the long drive ahead of us outweighed the fun we were having and we headed off, feeling smug about our most recent wine club enrollment. 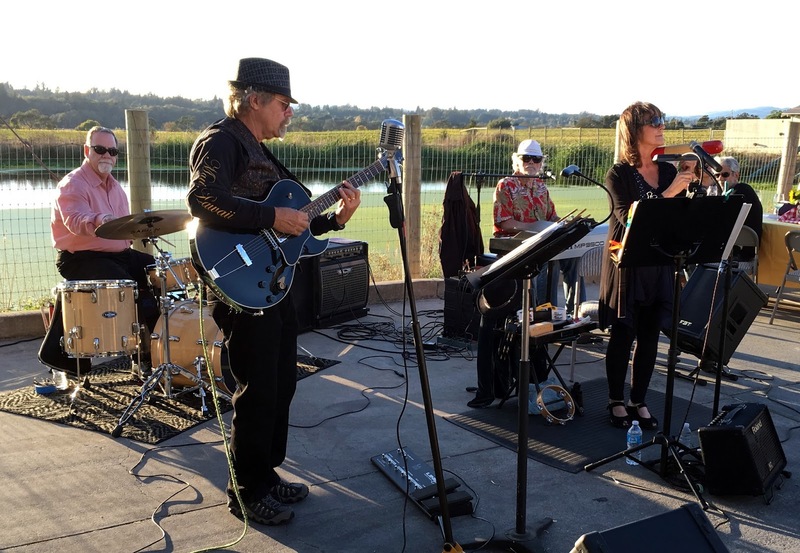 If all of Balletto’s club events are this much fun, our membership is going to be awesome! 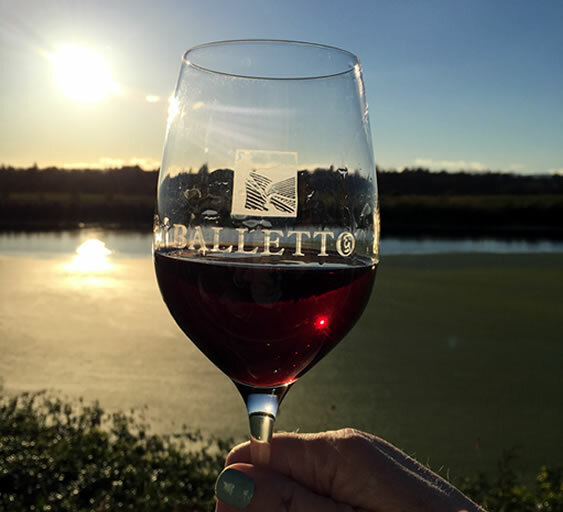 Cheers to everyone at Balletto who made the evening a success!